In December 2013, the New Economic Partnership Forum was heldin Paris with the aim of reviving trade between France and Africa. At the end of this Forum, then-President François Hollande announced the ambitious goal of doubling trade between France and Africa over five years. A few months later, the drop in oil prices extinguished all hope of achieving this objective and reduced the total value of trade (sum of imports and exports) between these two zones from 73 billion US dollars in 2013 to 54 billion USD last year. In 2017, France also lost its status of leading European supplier to Africa to Germany. 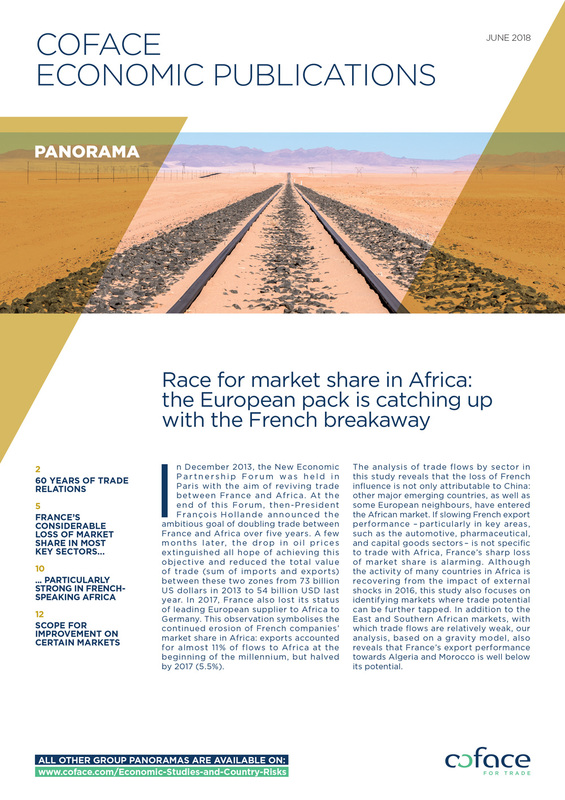 This observation symbolises the continued erosion of French companies’ market share in Africa: exports accounted for almost 11% of flows to Africa at the beginning of the millennium, but halved by 2017 (5.5%).